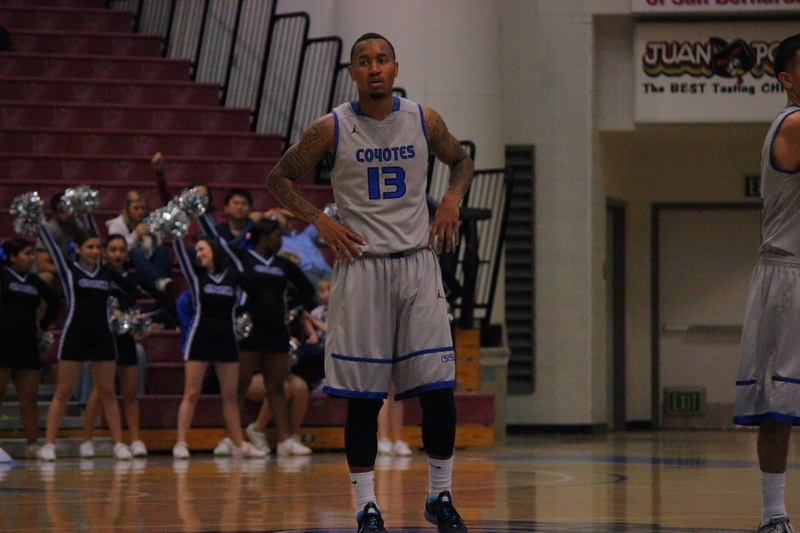 Senior guard Lacy Haddock had a phenomenal year playing for Coyote men’s basketball. Haddock was a standout player this year for the Coyotes averaging 12.8 points, 6.3 assist and 2.9 rebounds per game in 26 games. Haddock came from Las Vegas, Nev and graduated from Sierra Vista High School in 2007. He averaged 18.7 points per game during his senior year. Haddock has played for College of Southern Idaho, Yavapai College, and Central Washington University before playing here at CSUSB in 2012. In a few words, Haddock has a true gift as a basketball player and definitely has opportunity to expand and explore his talents. Despite being an extremely talented basketball player, Haddock also has interest in video games, shoes and music. Haddock’s favorite video game is NBA 2K14 on the new Xbox One. His favorite team to play as in NBA 2K14 is the Los Angeles Lakers. Haddock’s favorite team to root for is also the Los Angeles Lakers. When asked who his favorite player is, many people are quick to assume it’s Kobe Bryant, but his favorite player in the NBA is the Chicago Bulls point guard Derrick Rose. “Derrick Rose is my favorite NBA player to watch because I feel we play kind of a similar game with the way that we’re both explosive, good shooters, good ball handlers, and the same height,” said Haddock. When Haddock is on or off the court, he likes to listen to a lot of music; his favorite artist is Kanye West. Haddock has over 30 pairs of sneakers in his collection and they range from Retro Air Jordans, Kobes and other Nike basketball shoes. “My favorite shoe of all time has to be the Black and Solar Red Yeezy 2. I need those in my collection for it to be complete,” said Haddock. While not playing basketball, Haddock likes to eat. He enjoys all kinds of food, but his favorite food over anything are chicken fingers. “Chicken fingers are the best, I order that mostly everywhere I go,” said Haddock. While chilling at home, Haddock watches movies and television. Haddock’s favorite movie is “He Got Game” featuring Denzel Washington and current Miami Heat guard Ray Allen, who plays as Jesus Shuttlesworth. “This year has been great, man. We’re very athletic giving most teams a lot of problems on the offensive and defensive ends of the court,” said Haddock. 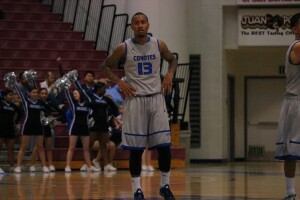 Haddock was awarded the CCAA Player of the Year for the 2013-2014 season due to the hard work and dedication that he had displayed on the court. He led the Coyotes to win the regular season conference title, finishing the season with a 23-3 overall record, so in short of words this wont be the last we see of Haddock. season with a 23-3 overall record.